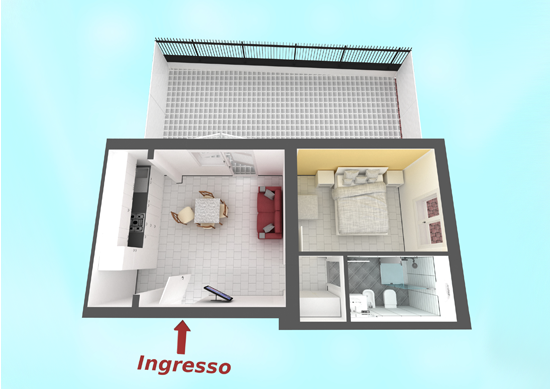 Apartment with gambrel roof, located on the third floor with lift, of 54 sqm. In the wide bedroom there are a double bed and a single bed. In the living-dining room the sofa can become a comfortable bed, led tv, the kitchenette is equipped with fridge with freezer, 4 cooking stoves, microwave. The bathroom is equipped with shower box and iron. 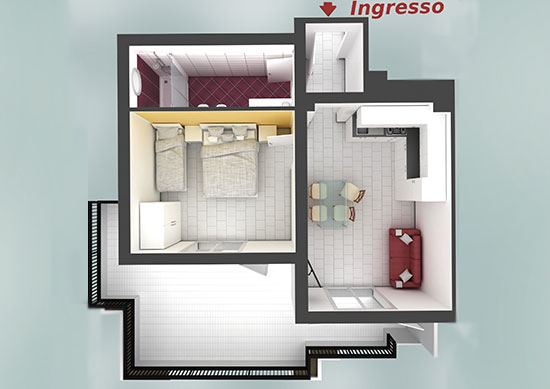 This apartment is ideal for a family of 4 people. 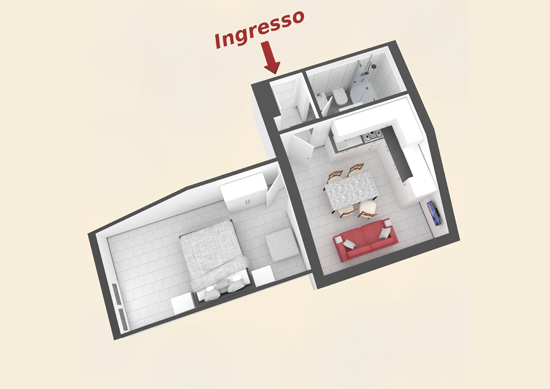 apartment with gambrel roof, located on the third floor with lift, of 40 sqm. In the bedroom there is a double bed. In the living-dining room the sofa can become a comfortable bed, led tv, the kitchenette is equipped with fridge with freezer, 4 cooking stoves, microwave. The bathroom is equipped with shower box and iron. This apartment is ideal for a family of 4 people. 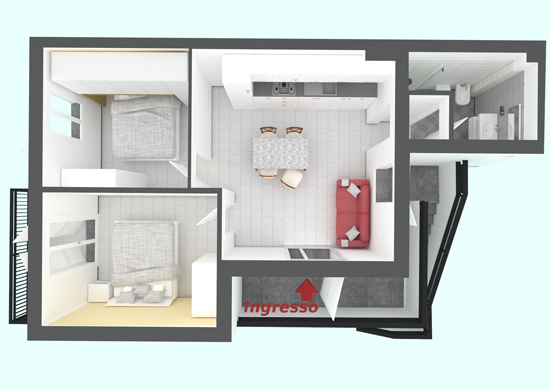 Apartment with gambrel roof, located on the third floor with lift, of 38 sqm. In the bedroom there is a double bed. In the living-dining room the sofa can become a comfortable bed, led tv, the kitchenette is equipped with fridge with freezer, 4 cooking stoves, microwave. The bathroom is equipped with shower box and iron. This apartment is ideal for a family of 4 people. 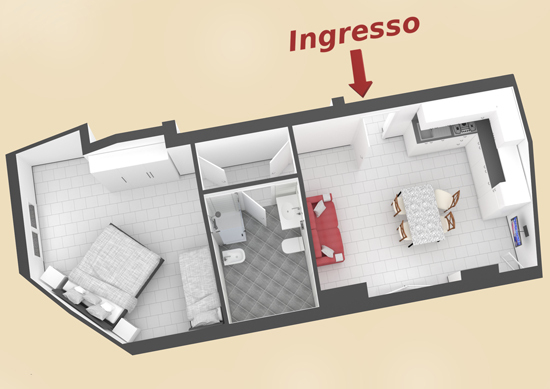 Apartment located on the floors, of 45 sqm, with balcony. In the bedroom there is a double bed and a single bed that can become bunk beds. In the living-dining room the sofa can become a comfortable bed, led tv, the kitchenette is equipped with fridge with freezer, electrical cooking, microwave. The bathroom is equipped with shower box and iron. 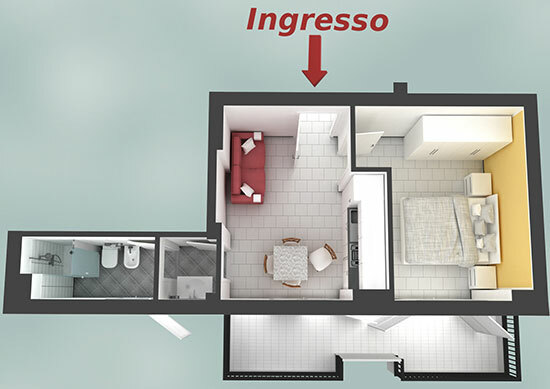 This apartment is ideal for a family of 5 people. 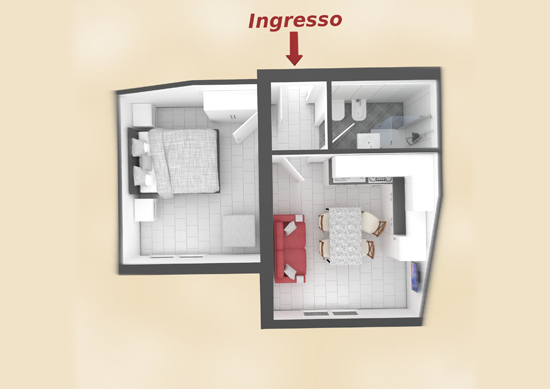 Apartment located on the floors with ample terrace or balcony depending on the floor, of 52 sqm. In the bedroom there is a double bed and a single bed that can become bunk beds. In the living-dining room the sofa can become a comfortable bed, led tv, the kitchenette is equipped with fridge with freezer, 4 cooking stoves, microwave. The bathroom is equipped with shower box and iron. 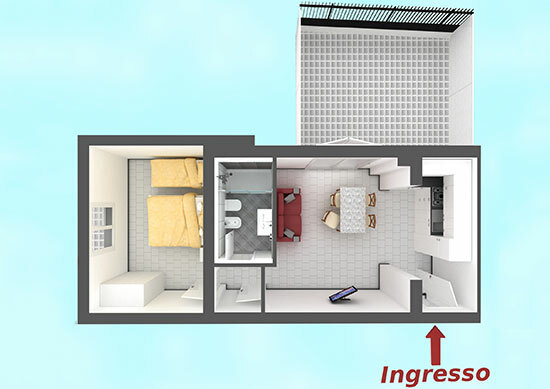 This apartment is ideal for a family of 5 people. 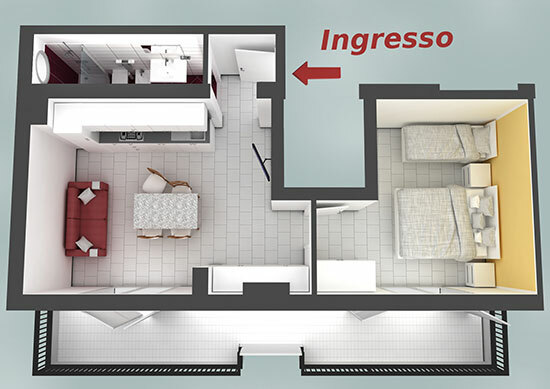 Apartment located on the floors, of 45 sqm, with two balconies. In the bedroom there is a double bed. In the living-dining room the sofa can become a comfortable bed, led tv, the kitchenette is equipped with fridge with freezer, 4 cooking stoves, microwave. The bathroom is equipped with shower box and iron. This apartment is ideal for a family of 4 people. 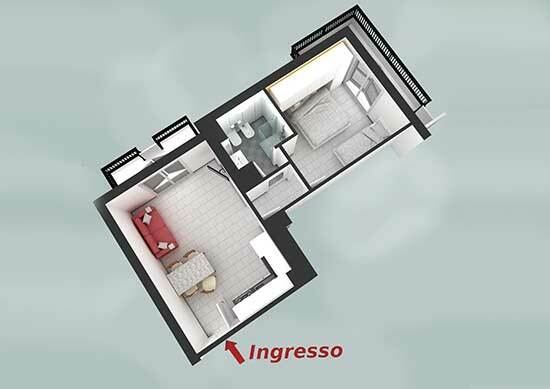 Apartment with private entrance located on the ground floor and on the first floor, with a private space outside or a balcony, of 65 sqm. In the main bedroom there is a double bed and the other one there are two beds, can be made a double bed or two singles. In the living-dining room the sofa can become a comfortable bed, led tv, the kitchenette is equipped with fridge with freezer, 4 cooking stoves, microwave. The bathroom is equipped with shower box and iron. This apartment is ideal for 6 people. 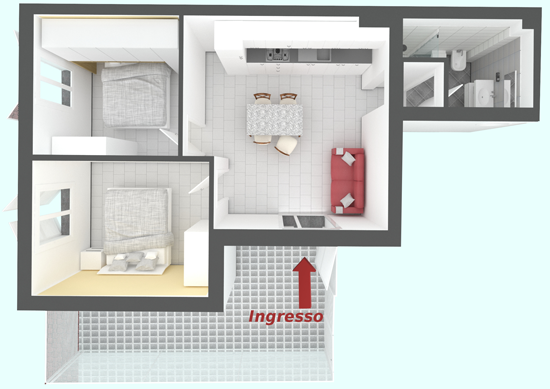 Apartment on the ground floor with a private space outside, of 52 sqm. In the bedroom there is a double bed. In the living-dining room the sofa can become a comfortable bed, led tv, the kitchenette is equipped with fridge with freezer, 4 cooking stoves, microwave. The bathroom is equipped for disabled. This apartment is ideal for a family of 4 people. 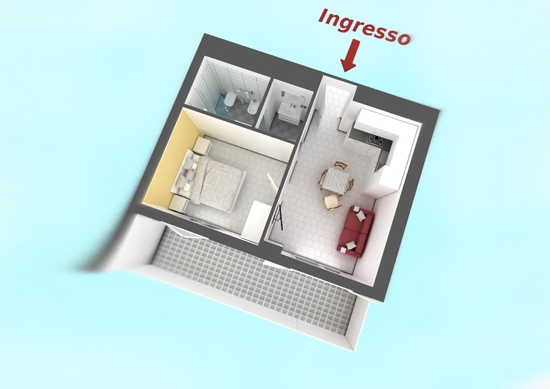 Apartment on the ground floor with a private space outside, of 42 sqm. In the bedroom there is a double bed. In the living-dining room the sofa can become a comfortable bed, led tv, the kitchenette is equipped with fridge with freezer, 4 cooking stoves, microwave. The bathroom is equipped for disabled. 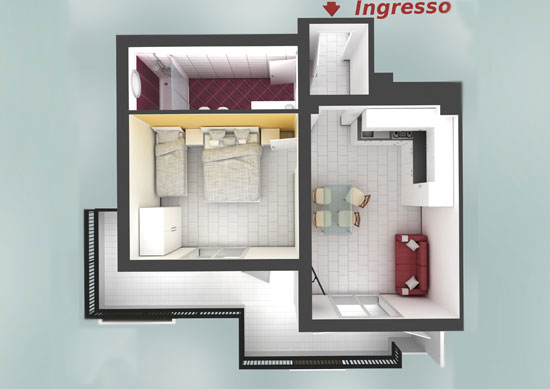 This apartment is ideal for a family of 4 people.